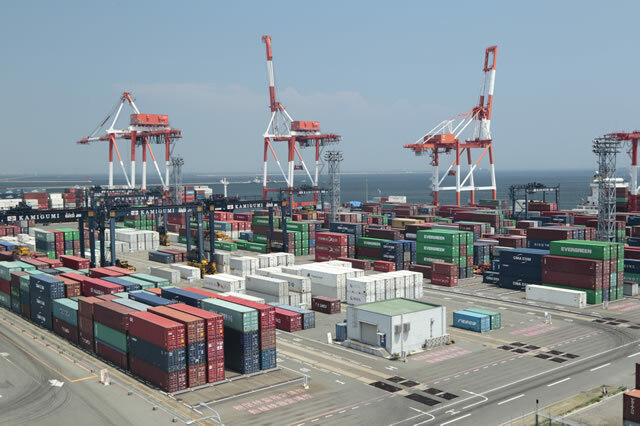 Container Terminals in Japan｜Domestic and Overseas Network/Logistic Facilities｜About Us｜Kamigumi Co., Ltd. Learn more about our independently operated container terminal. 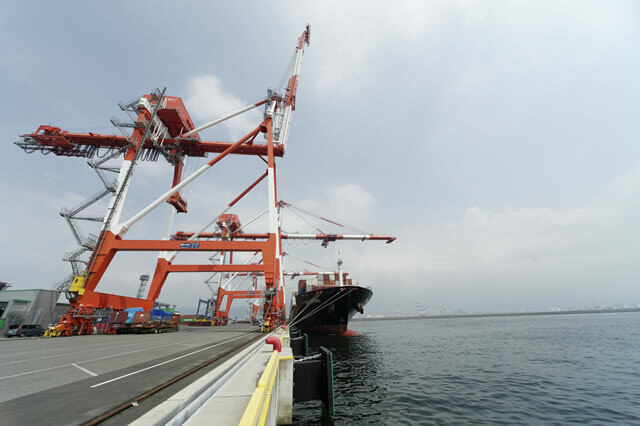 The Kamigumi Kobe Container Terminal (KGKT) was established in container berth PC-18 at Kobe Port Island in 2003. As the industry's first container terminal that is independently operated by a harbor transport agent, it services a large number of routes and shipping companies, focusing largely on East and Southeast Asian routes. In addition to IT system management of depot ship loading/unloading and taking in/sending out of containers, the terminal also features the country's first unmanned gate system, as well as other cutting-edge technology. 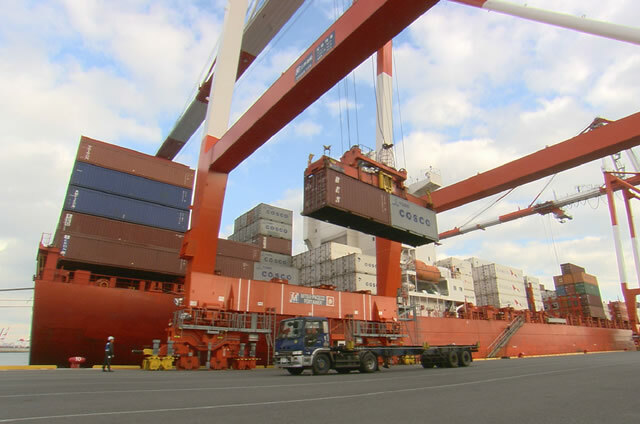 The terminal includes a 15,5 m deep—is deep enough for large ships to pull up—that is equipped with 5 gantry cranes for loading and unloading of depot ships. The pier can handle loading and unloading of three container vessels at once. 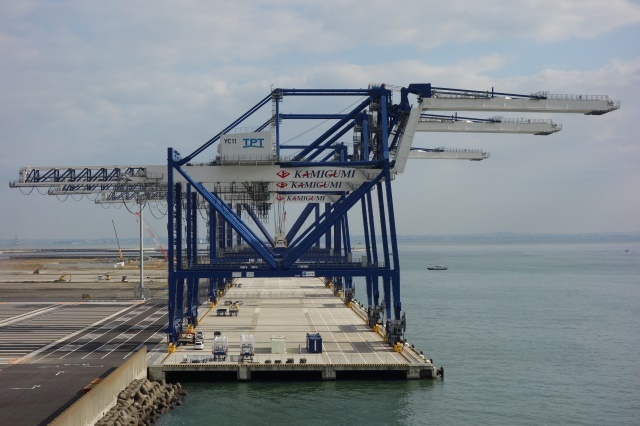 In April 2010 there is also a 16 m pier on the east side of the terminal with three of the world's largest gantry cranes, newly installed, making the terminal one of the first prepared to service increasingly ultra-large container ships. 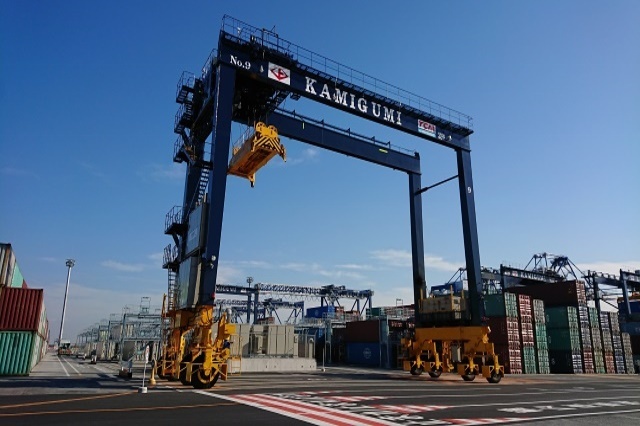 Kamigumi Tokyo Container Terminal Y1 is leased by Kamigumi from Tokyo Port Terminal Corporation. 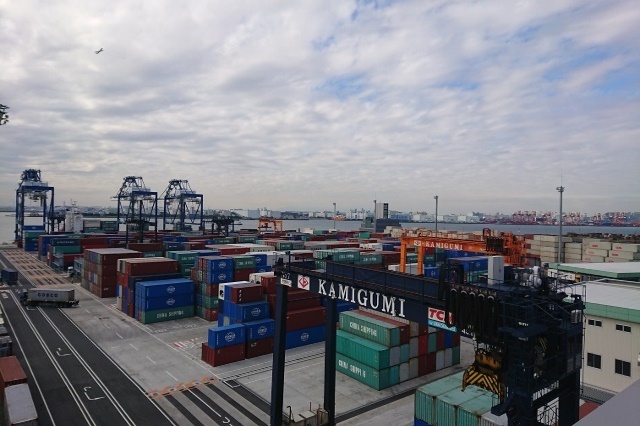 The facility first opened in December 2017 at the Central Breakwater Outer Wharf of the Port of Tokyo (Y1). Compared to the existing Kamigumi Tokyo Container Terminal (Central Breakwater Inner Wharf) that began operations in 2004, this newly opened container terminal offers double the stowage capacity, expanded container receiving gate, and an automated system for container receiving, among other upgrades, offering enhanced convenience for users.